If you follow football; real or fantasy, you have probably heard about a player with a Lisfranc injury. This year alone Le’Veon Bell, Santonio Holmes, and Ryan Clady all were victims of the uncommon injury. So, in the words of Jerry Seinfeld, “Who is this Liz Franc, and where does she come from?” The term Lisfranc originates from a French doctor, Jacques Lisfranc de St. Martin during the 1800s, after French troops reported pain while riding horses. 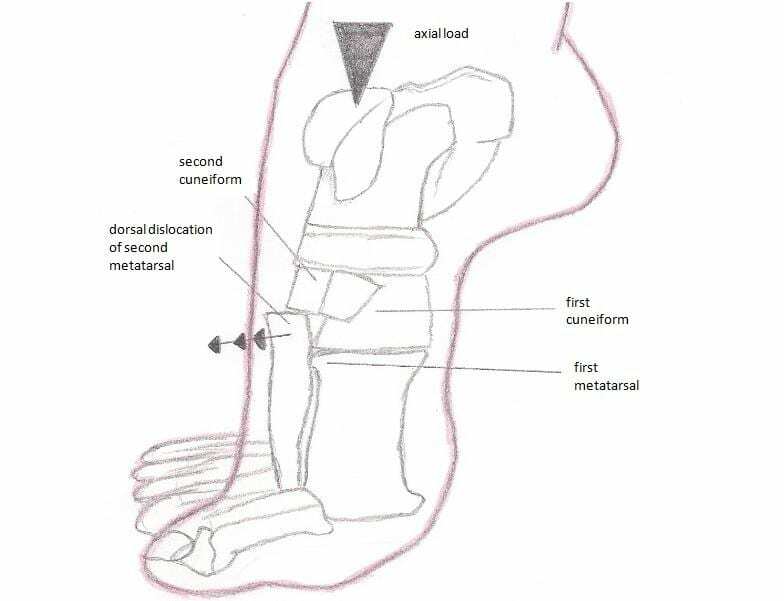 The injury refers to a ligament sprain and/or fracture at the midfoot, affecting the tarsometatarsal joint that connects the small tarsal bones in the foot to the larger metatarsal bones. A Lisfranc injury generally occurs with a high energy movement such as a car accident or fall. However, the injury is being diagnosed more frequently in athletics as the diagnostic skill improves. Typically, the injury happens in sports when a player is in a plantar-flexed position (on the front foot), while someone falls or steps on the heel. Typically localized pain, diffuse swelling, and limited weight-bearing are signs and symptoms of this injury. In addition, an X-ray or MRI may be necessary to grade the severity. If a fracture is detected then surgery is usually indicated. The surgery will likely consist of an open reduction and internal fixation with plates and screws. This hardware is usually removed in a couple of months. In more severe cases, the joint may be fused. After the surgery is allowed to heal, rehabilitation should be started to reduce any atrophy, range of motion loss, swelling, and regain gait mechanics. If a fracture is not detected, a period of immobilization followed by rehabilitation is indicated. “Like” us on Facebook and “Follow” us on Twitter for more information and giveaways!